In general, we may say that all the types of sour milk are easy to digest and the human organism assimilates them well. Furthermore, they improve appetite, stimulate the functions of the pancreas and the liver and the secretion of bile. The milk proteins of sour milk are partially curdled due to the acidic environment, so they are readily digestible, that means the amino acids in their composition are absorbed well into our bloodstream. This can be called external preliminary digestion, something that doesn’t diminish the biological value of proteins as their amino acid content doesn’t change. The protein content of sour milk manufactured in Estonia is usually 2.9%. The somewhat altered state of milk casein due to the activity of living lactic acid bacteria reduces the possibilities of allergenicity. Compared with the proteins in fresh milk, the proteins in fermented dairy products cause fewer allergic reactions. The advantage of the commercially manufactured sour milk with 2.5% fat content is also that, even if a lot is consumed, it doesn’t give a lot of food fats or calories – the human body gets around 50 calories from a 100-gram portion of the product. At the same time, the fat content of sour milk is sufficient to ensure the absorption of the necessary micronutrients from the product and to give the product flavors that are palatable to many people. As in the case of other fermented milk products, we should stress the suitability of sour milk for people who have problems digesting milk sugar. The lactose content in sour milk is lower, and the lactic acid bacteria consumed together with sour milk help to partially cleave lactose. The carbohydrate content of the 2.5% sour milk that is on sale in Estonia is around 4%. The human body gets micronutrients from sour milk as well. Speaking of minerals, sour milk contains a considerable amount of calcium, potassium, magnesium, phosphorus, sulfur and sodium compounds. We get a few microelements such as selenium, zinc, molybdenum, cobalt, and iodine from sour milk. Regarding vitamins, sour milk mainly contains various vitamins of the B-group (notably vitamins B₂, B₅, and B₁₂ some of them come from the original milk and some are generated by the living lactic acid bacteria. There are some additional bonus features. Lactic acid in the composition of fermented milk products stimulates the functions of various digestive glands, so it fosters the digestion process. The regular consumption of sour milk also improves the function of the intestines, helping to avoid constipation. When drinking sour milk that has not been pasteurized the gastrointestinal tract of the consumer is enriched with lactic acid bacteria to a greater or lesser extent. The use of probiotic bacteria in the starter of the sour milk is especially beneficial as they also contribute to improving the health of consumers. The bacteria in a certain selected starter can produce compounds in sour milk that have an antibiotic effect. Sour milk with this composition is recommended in several special diets. • Has been proven to lower cholesterol. • Lactic acid bacteria found in abundance in sour milk help in removing toxin-producing bacteria that can be found in the intestines. • Has been shown to contain anti-cancer properties. • Source of calcium for people suffering from lactose intolerance. • Boosting the immune system. 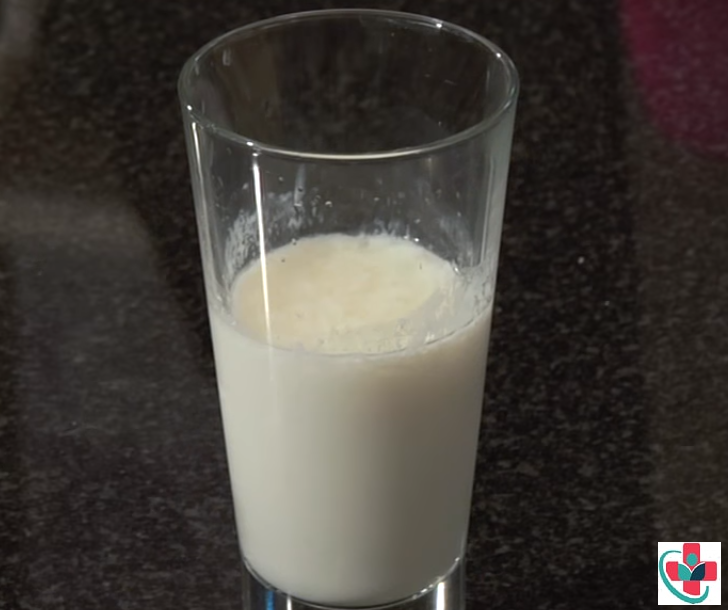 Also, see how to make sour milk at home.